This extension allows you to easily create recurring invoices with the click of a button. Looking for automatic recurring payments? Check out our new Subscription Invoices extension. Simply click on the ‘Create Recurring Invoice’ button and a popup will appear, allowing you to choose the frequency of the recurring invoices in days, months or years. 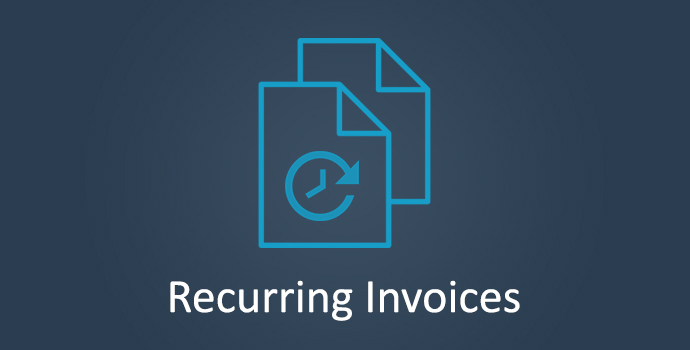 The next recurring invoice will be created at your chosen interval, starting from the current invoice Created Date. You can also preview the next upcoming invoice and optionally make changes prior to it being sent. Invoices can be automatically sent to clients on your specified schedule. Clients receive an email notification letting them know it is time to review and pay the newest invoice. If the ‘Sequential Invoice Number’ option is on, the invoice number on the recurring invoices will follow the sequential numbering system. This ensures each invoice number will be a ‘unique sequential number identifying the invoice’, which follows the VAT Invoicing Rules for the EU.